Back in March Google announced the Google Analytics 360 Suite. Part of that announcement was the release of Google’s new A/B testing platform Optimize 360. For the past six months Optimize 360 has only been available as a private beta to Google Analytics 360 customers, but now they have opened that beta to the public, announcing a free version for everyone, and allowing people to sign up to request access! Here’s what you need to know. What is Google Optimize 360? Optimize 360 is Google’s A/B testing and personalization platform. Like most A/B testing platforms, it allows marketers to test variations of a site in order to improve conversions. Unlike most A/B testing platforms, it natively integrates with Google Analytics. What Will The Free Version Include? Details haven’t been publicly released about what will be included in the Optimize public beta version, but if it’s anything like the Data Studio free version, we can expect a limited number of experiments and perhaps some reduced functionality. We’ll be sure to keep you posted as the details are made public! 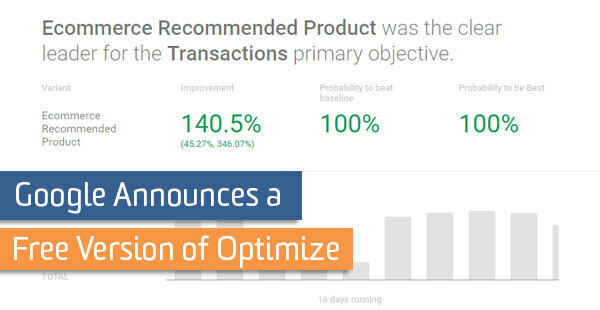 Why Do You Need Optimize? By tying in with Google Analytics, we can make sure we’re using the same metrics that we already care about – our Google Analytics goals and other session metrics. We’re able to see the results in Optimize or Google Analytics, and easily launch new experiments sitewide. How do I Get Access to Optimize Public Beta? 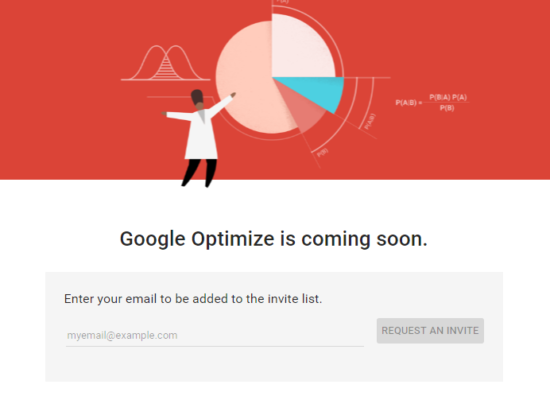 At this time, you’ll need to sign up for the invite list for the public beta of of Optimize. Sign up here to be added to the invite list!